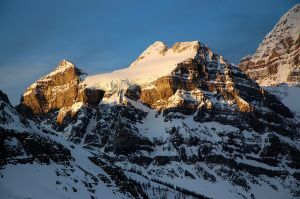 Located directly NE of Mount Assiniboine. Name Notes: Named in 1930 after Magog who was an individual mentioned in the Old Testament of the Bible. English and Celtic mythology also tell of a giant named Magog.